About three years after our eldest was born, I bought my boyfyhusband a cocktail shaker. I searched very high, and very low for one that looked good and would last and finally found it at Alessi, that Italian design emporium that produces some truly wonderful, but also truly awful, designs. 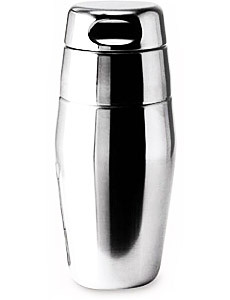 This the 870/50 Alessi cocktail shaker in 18/10 matt stainless steel which at the time of writing costs £63. It’s worth it. Thus Friday nights became cocktail nights. At the end of every week, when our daughter had gone to sleep and I was reasonably sure she wouldn’t want a feed til morning, I’d indulge in some beautiful, hard liquor. I love Martinis so much that I wrote it into my birth plan that immediately after the birth of our second daughter, and whilst I was waiting for placental transfusion to stop (the cord to stop pulsating) I was to be offered a vodka Martini. And indeed, I was. But with a cocktail shaker comes the need for a proper cocktail book. Again, here is a field that is saturated with offerings but I went into a proper old fashioned book shop (okay, the Selfridges book department) to select. 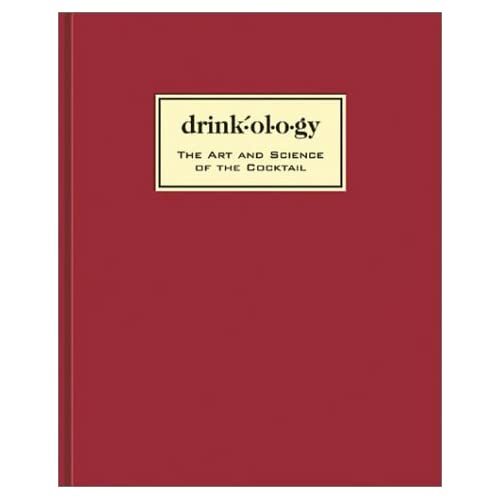 I ended up choosing Drink.ol.o.gy, which is a neat little tome with no pictures but lots of smart writing and a very comprehensive list of recipes. It’s the cocktail book I’d recommend still. What has any of this to do with Chambord? Very little directly. Except when you get into making cocktails you do need to start thinking about having something very grown up: a well stocked drinks’ cabinet. And in that cabinet appeared a very ornate bottle of ‘black raspberry liqueur’ aka Chambord. The Chambord bottle is hideous, all plastic, gold coloured ornateness topped with a crown. The sort of thing the Pope would drink, if he drank, and he should if he doesn’t. I’ve heard that people feel the bottle is so ‘special’ they don’t know what to do with it when it’s empty. So instead of putting it in the recycling bin, they donate it to charity. Chambord made a feature of its bottle last year, releasing a very limited edition of one jewel encrusted version for $2million. The world’s most expensive bottle of booze. Chambord is an excellent liqueur. You can make all sorts of complicated cocktails with it (the website tells you how) but I like it best splashed into the bottom of a glass of fizz. It can turn even a humble Cava into something rather tasty and lovely. It’s very easy to drink and of course you’ll get drunk quickly. But it’s raspberries so it’s one of your five a day. This entry was posted in Birthdays, Drinks, Equipment on June 2, 2010 by Annalisa Barbieri.